This deliciously chewy brownie recipe makes rich dark chocolate brownies with a wonderfully fudgy texture. Beware! It is impossible to stop at just one. 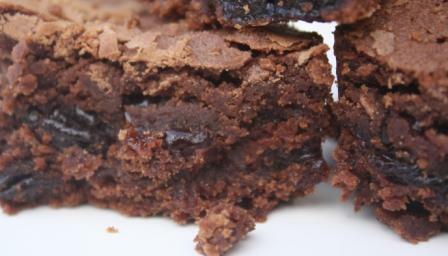 Inspired by the popularity of our award winning dark chocolate brownies with cherries recipe we have been doing some serious (!) brownie recipe testing. Using different types of chocolate, different nuts, fruits and spices the variety of brownies seems endless. It has been such fun, we have been in danger of going a bit mad with all the different brownies we have created. Fortunately we have had some very willing tasters thanks to those attending the art courses at Cambridge Makers. Their feedback has helped us enormously in refining our test recipes so only the best get through. Whether you adore rich dark chocolate brownies or a blondie made with tasty white chocolate is more your thing. We will have a brownie recipe for you. Where to start? We have started with one that was an immediate hit with all our tasters. 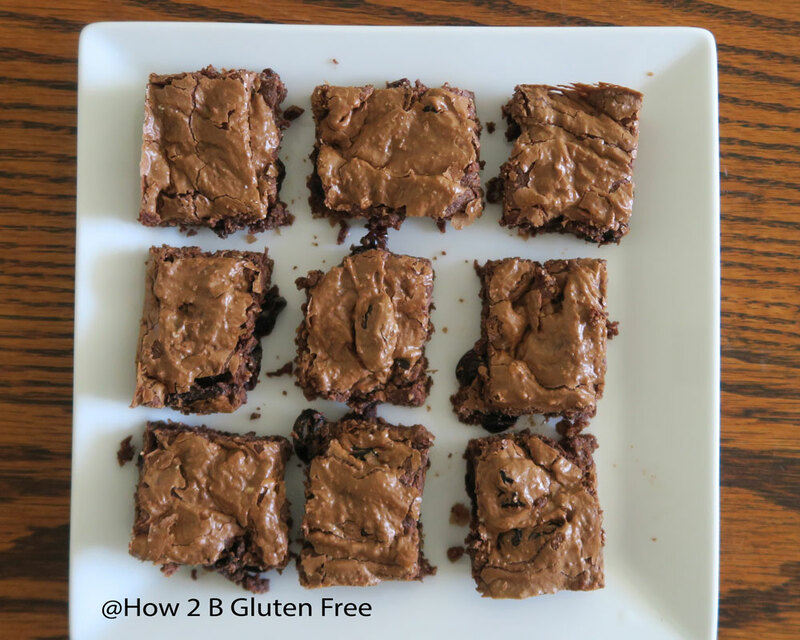 A chewy brownie recipe made with peanut butter, ground almonds and dried blueberries these brownies are a luscious chewy chocolate treat. The peanut gives the brownies an extra chewiness. 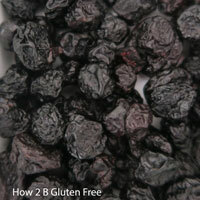 The dried blueberries bring out the rich flavour of the chocolate. These brownies just burst with flavour. 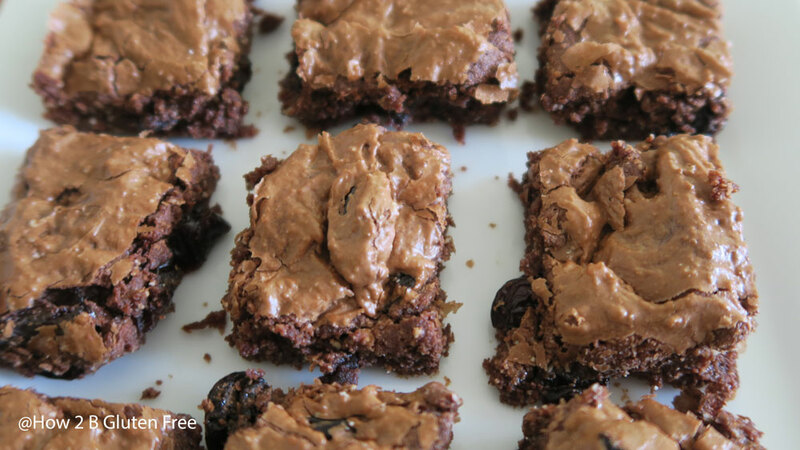 Welcome to the first of our new brownie recipes! 2. Line or butter your baking tray. 3. Melt the dark chocolate and peanut butter in a microwave or in a bowl over a pan of simmering water. Once melted put aside to cool. Do not allow to cool too much otherwise it will start to thicken and set. 4. Whisk eggs and sugar until pale and fluffy. This will take up to 5 minutes. 5. Fold the melted chocolate and peanut butter into the whisked egg and sugar mixture. 6. Fold in the ground almonds, ensuring completely mixed in. 7. Fold in the dried blueberries. 8. Pour into your baking tray and bake in the oven for around 25 minutes. 9. Remove from oven and leave to cool completely before removing from tin and cutting.